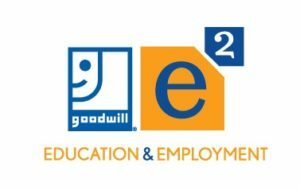 Goodwill Industries of Fort Worth has developed a new and innovative program for youth and young adults seeking to gain their high school equivalency while being offered paid work experience at the same time. E-Squared (E2) specifically targets displaced youth in Tarrant County who are out of school, aged 16-24, and that are experiencing barriers to employment and education. The E-Squared Program will provide high school equivalency preparation courses taught by a state certified Fort Worth ISD instructor, paid work experience funded by Workforce Solutions for Tarrant County, individualized mentoring and coaching, life and job readiness courses, as well as connections to further employment and education opportunities. By providing comprehensive and person-centered assessment, training, and employment services to each participant, Goodwill of Fort Worth will assist youth and young adults experiencing barriers to education and unemployment to overcome the need for public benefits and join the workforce. Enrollment is ongoing and the program provides assistance Monday thru Friday from 8am to 4:30pm. For more information please call 817-332-7866 X2104 or x2040, or email e2@goodwillfw.org.